The 22-year-old joined her current team in 2015 and attracted attention with a series of very promising results in 2018. 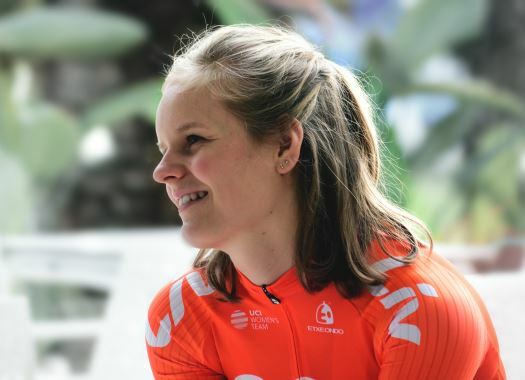 Apart from winning a stage in the Belgium Tour, she also took the Youth Classifications at the Women's Herald Sun Tour and the Boels Ladies Tour. She also proved herself in spring classics, with a seventh place at the Omloop Het Nieuwsblad in 2018 followed by a sixth spot in this year's edition of the Flemish race. 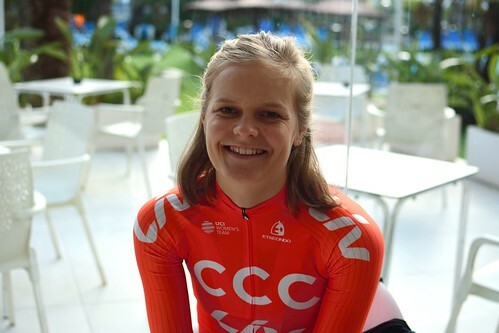 Ahead of this season, as Korevaar was preparing in Spain with her teammates, CyclingPub.com had a chance to speak with her. This is your fifth season at the team, which means that you're the most experienced rider at this team after Marianne Vos, right? (Laughs) probably, yes. I started here after coming through the junior ranks and I still feel like I'm in the right spot. You got good results in the 2018 season. What kind of feeling does that give you ahead of 2019? Yes, I got some nice results and I had a very consistent season. That was a confirmation for me that I was developing very well, which is of course something you want when you're young. I hope to continue this path this year. Maybe get more good results but especially carry out my tasks in the team, working with Ashleigh (Moolman-Pasio) and Marianne. I hope to play an important role in that. You also won a few youth classifications, including the Boels Ladies Tour. Is that the kind of race you're looking at? I'm actually very all-round. Last year I could also stay at the front in a lot of races. So, it's difficult to really focus on certain races, although I want to do that more this year. The spring classics do really suit me, and that's also what I'm most passionate about. I really want to be good there. And then later in the season the shorter stage races. The longer ones don't really suit me. Are you aiming to race the bigger tours though? Yes, I do want to ride the Giro. With Ashleigh we have a great leader and it's really nice to be part of a group like that, giving everything. What do you think about the changes to women's cycling as announced by the UCI? There are so many opinions. It's good that that women's cycling is really developing at the moment. But it's important that things are thought through properly. What really matters is that the races get better television coverage. Things do seem to go fast now, don't they? Media and the public appear to be more interested. Yes, that's great. And for us, to share a team with the men is great for our exposure. That helps a lot. Do you think it's a good thing to compare men's and women's cycling with each other, or should women's cycling be seen as an entirely different entity? I really do think they are two separate things. You can't really compare it yet. Back to you: Do you also have favorite races? That's difficult to say, I love so many races! If it's up to me, the Tour of Flanders is really special.